The Division of Respiratory Medicine, Department of Medicine within the Faculty of Medicine at the University of British Columbia (UBC) in partnership with the Vancouver Coastal Health Research Institute (VCHRI) and the UBC James Hogg Research Centre (JHRC) ) invite applications for a full-time (1.0 FTE) academic faculty position at the rank of an Assistant Professor, tenure track. The successful applicant will also hold a concurrent appointment as an Investigator at VCHRI. The Department of Medicine provides excellence in research, teaching and clinical services related to the nature, cause and prevention of adult diseases. We are the largest Department in the Faculty of Medicine with over 1,200 faculty and staff. The Department is comprised of 18 divisions with faculty located throughout the Province of British Columbia. The UBC Department of Medicine is committed to ensuring the success of our learners and faculty, and to contributing to the health of the Province of British Columbia. The UBC James Hogg Research Centre (JHRC) is a senate-approved research centre dedicated to conducting world-class cardiovascular, pulmonary, and critical care research. The UBC JHRC has over 50,000 square feet of laboratory and office space, as well as eight core facilities that enable access to a range of highly specialized equipment and facilities, including one of the largest biobanking facilities in BC. Vancouver Coastal Health Research Institute (VCHRI) is one of Canada’s top-funded health research institutes. The VCHRI researchers represent a multitude of health disciplines, research backgrounds and clinical occupations. VCHRI research discoveries have improved quality of life and changed how health care is delivered and received. VCHRI comprises more than 1,500 personnel engaged in research and is home to 900 principal investigators, as well as graduate and post-graduate trainees, conducting both clinical and discovery science. VCHRI work creates technology transfer jobs and is fostering a new generation of knowledge and innovation leaders. 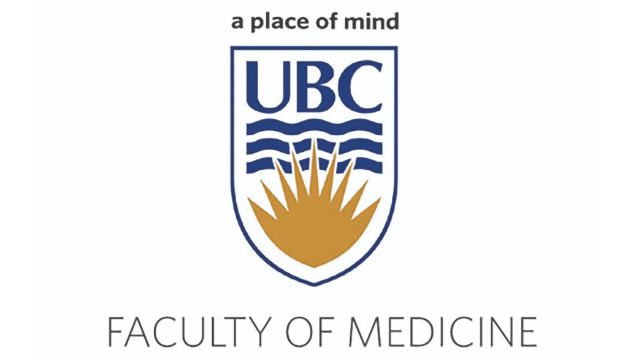 The incumbent will be expected to maintain a focused clinical practice centred on airways disorders (particularly asthma) that aligns clinical and research interests, and will be expected to perform associated duties not only at the Vancouver General Hospital but also at St. Paul’s Hospital, with a clear imperative to build bridges clinically and in research across the institutions. As a faculty member within the Division of Respiratory Medicine, Department of Medicine, the successful candidate will be expected to develop a strong, externally-funded and internationally competitive research program encompassing a range of informatics approaches to understanding determinants of airway health and disease, actively participate in the undergraduate, graduate, and postgraduate teaching activities of the Division and Department, as well as be expected to provide service to the University and the broader academic and professional community. The incumbent for this position must hold an MD and be eligible for licensure as a physician respirologist in the Province of British Columbia. The successful candidate will be a certified respirologist with a superlative track record for research and a strong capacity for systems biology and data integration that transforms multiple levels of data into meaningful and actionable outputs that can improve airways health from both preventive and treatment perspectives. The successful candidate will also show demonstrated ability to achieve excellence in teaching, as well as have demonstrated research skills and expertise in the area of advanced systems biology techniques in order to integrate diverse sets of data across genomic, biochemical, and clinical platforms to deepen our understanding of lung disease including asthma and chronic obstructive pulmonary disease. Review of applications will begin March 11, 2019 and continue until the position is filled. The anticipated start date for this position is August 1, 2019, or upon a date to be mutually agreed.